Right at the outset, we want to stress that this book and accompanying CD are for anyone who works with, or wants to work with, young people. 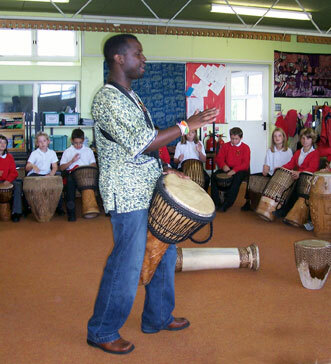 It’s not just for confident musicians who want to learn more about using African music in their work. 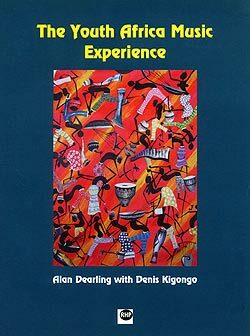 In planning how to structure the book, Denis Kigongo, who is a practising musician as well as a youth worker and teacher, and from Uganda, saw the challenge as one of engagement on different levels. 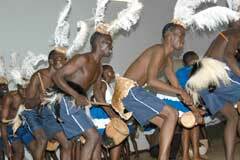 links to other African resources for CDs, musicians, instruments, equipment hire and more. At the end of the day, the most important thing is to experiment and share your enthusiasm with the young people you are working with. There is no ‘right way’ or ‘wrong way’ to organise this process. Make sure that you start from the person you are – in other words be yourself - and build on the experiences and preferences of the young people you are working with. 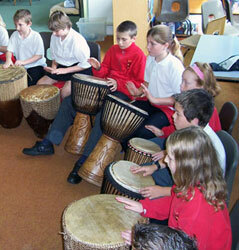 Participation and relationship-building are essential parts of positive and creative work with young people in groups. Regard using the materials in this book and the CD as a personal journey that you are sharing with young people. Don’t try and pretend that you are the ‘expert’ in all things – the experience of using the materials and activities is the young people’s journey. Overcoming obstacles such as people who are not keen to get involved either because they lack confidence or are shy is all part of the process. 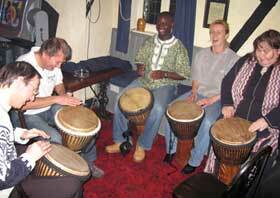 Remember, the Youth Africa Music Experience is all about sharing, getting involved, and having some lively fun, making some noises, some that may be musical, some of which perhaps may be less so!